Precision agriculture has solidified its place within agribusiness as the adoption rate of technology within agriculture continues to grow. The evolution of technology within agriculture is staggering, as it is now crucial in any part of the industry’s supply chain. We would like to present 4 innovators that are doing outstanding work within an area that is set to grow to $43.4 billion by 2025. 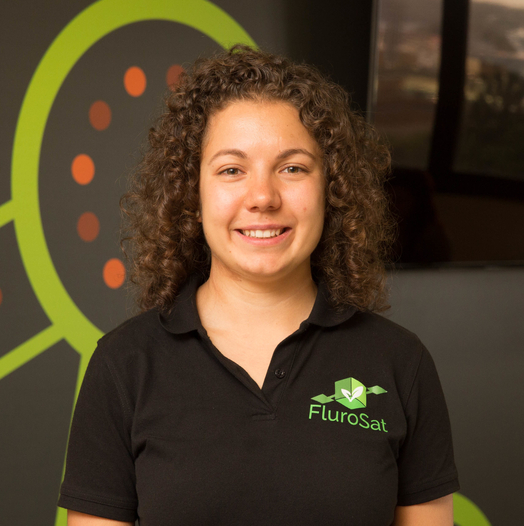 Anastasia Volkova is the CEO and Co-founder of FluroSat with a passion for aerospace, automation, and efficiency. She advocates remote sensing, believing it will revolutionise the way we manage our economies. Volkova holds 3 degrees and a doctoral thesis on autonomous navigation systems. Academically, her research topic “Feature-based Visual Navigation in GPS-denied environment” frames her work on the development of software for processing of remotely sensed images, and the assignment of semantic labels on visual features and multi-sensor/ multi-temporal data fusion for localisation purposes. The concept for FluroSat’s technology is simple – it spots problems with crops before the farmer can, and recommends how to fix them. Farmers and agronomists using the technology can intervene earlier and only where needed. This means less fertiliser and less water – and a more abundant harvest. The company is talking to farmers and their advisors daily to identify the obstacles to the optimisation of existing farming practices. Their goal is to equip growers with the actionable information produced using state of the art data analysis tools proven in the academic world. Mark Dufau is the Director of Sales for AeroVironment. He is part of three generations of California farmers in Ventura County, and now focuses his efforts on integrating drones into precision agriculture. Mark graduated with an B.S. in Agricultural and Managerial Economics from the University of California, Davis and has spent his entire career in the agricultural industry. AeroVironment is a global leader in unmanned aircraft systems and tactical missile systems. They provide the hardware, sensor, and software to eliminate compatibility concerns and unneeded complexity. Their products are optimized to deliver actionable crop health insights that can improve farming efficiencies and profitability for seasons to come. Dr Andre Daccache is a senior consultant at the International Mediterranean Agronomic Institute. He specialises in plant production and holds a PhD in irrigation engineering and water resources management. Andre recently left his Academic Fellow position at Cranfield University where he was investigating the impact of climate change on land suitability and potato production in the UK. He has also contributed to the development of a benchmarking tool to improve irrigation efficiency of potato growers. His other research interests include irrigation scheduling, on-farm irrigation systems performances, precision irrigation and crop production sustainability. Andre Daccache is currently an assistant professor at the Department of Biological and Agricultural Engineering, University of California, Davis. His research interest is in irrigation engineering, water resources management and climate change impact on the agricultural sector. 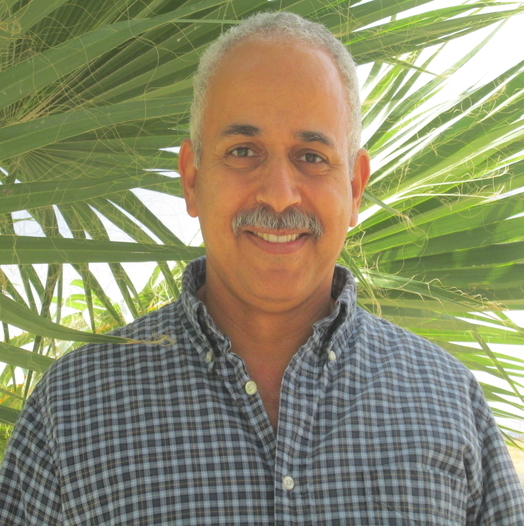 Dr. Khaled Bali is currently the Irrigation Water Management Specialist at the University of California Kearney Agricultural Research and Extension Center . He has been with UC Division of Agriculture and Natural Resources since 1992 and served in different capacities as an irrigation and water management advisor in Imperial County, UCCE county director in Imperial County and two years as interim director of the UC Desert Research and Extension Center in Holtville. Dr. Bali holds multiple degrees, including a PhD in soil physics from UC Davis, a MS degree in irrigation and drainage from UC Davis, and a BS degree in soil and irrigation from the University of Jordan. He is responsible for designing, implementing, and conducting educational and applied research programs in irrigation, drainage, water management, water quality, soil salinity, waste management, reuse of wastewater for irrigation and nonpoint source pollution control practices. Dr. Bali was also a Fulbright Scholar at the University of Jordan and conducted research on reuse of wastewater for irrigation and constructed wetlands to treat wastewater. Join these Precision Agriculture & Technology leaders at Ag 4.0, a workshop aimed at improving the understanding of modern agriculture practices and creating interoperable solutions. Anastasia Volkova, Mark Dufau, Prof. Andre Daccache, and Prof. Khaled Bali will be speaking on the panel – Precision Ag: Analysing Trends and Challenges. The Precision Agriculture & Technology panel will focus on the discussion of the latest trends in precision ag and how are new precision ag technologies will shape the future of farming. There will also be conversation on the implementations of new technologies onto the American farm and whether this technology is an option for small farmers. We will talk about how the industry can better support the actual implementation and usage of technologies on farms, and how can we ensure that these can function in an interoperable manner. Join us at Ag 4.0, to be part of a workshop where farmers will be given the opportunity to tell AgTech companies what they need, rather than the other way around. If you are a farmer or grower – secure your FREE ticket here.